SEO can be kind of complicated. I think everyone’s on the same page here. But, you don’t have to a be an SEO guru to reap the benefits that it provides. In fact, just a few simple – but important- tweaks can drastically improve your chances of success. Making sure all your site’s technical “t’s” have been crossed and “i’s” have been dotted is key to SEO success. Doesn’t sound easy, does it? Don’t you worry – both Bing and Google offer terrific webmaster tools that can help you get this done quickly and easily. Keywords are aptly named. They hold the “key” to the internet. So, it should come as no surprise that savvy entrepreneurs are always on the lookout for the right words, phrases, etc. that can help take their companies to the next level. But, who wants to spend countless hours doing research about keywords and optimization? If you’d rather work smarter than harder, the following tips can be of begin with a little empathetic thinking. That is, adopt the mindset of someone in your target demographic. What words would such a person use to find your product/service online? Because of their length, long-tail keywords are not the most popular. But, there’s a benefit to this lack of notoriety. There’s less competition. Plus, they tend to be really specific, which means they can put your site in a very good ranking position. Another great way to find beneficial keywords is by taking a closer look at your website analytics. This has gotten a little harder to do since Google started encrypting keywords but, it’s not an impossible feat. You can still use analytics to reveal the most popular content on your site. Once you’ve gotten that figured out, all you have to do is determine the main keywords in those hot pieces of content. Use the tactics above to compile a list. These are the keywords that you should highlight to get visitors to your site. That is, use them in your content as often as possible. Just don’t overdo it. The next item on your SEO to-do list is to create the kind of content that brings you quality inbound links as well as lots of social shares. This can be a little tough to do. Content marketing’s exploding popularity has led to an influx of content on the internet, both good and bad. If you want to stand out amongst the ever-growing sea of information, regular old content isn’t going to cut it. Your content must be useful, engaging, and well researched to capture the attention of your demographic. The key to success here is to remember that content doesn’t necessarily mean words. Content is also how-to videos, free tools, infographics, and the like. Everyone’s on social media these days and most of us like to share or tweet about things we find interesting. Therefore, it’s not surprising that social signals from Twitter and Facebook correlate strongly with a good ranking in Google’s index. So, it’s worth your time to make sure that your great content is easy to share. A terrific way to do so is by simply making your share buttons more visible. This can help your site generate up to 7 times more mentions than your behind-the-times competitors. You may also want to add a Buffer button in for good measure. Optimized meta descriptions are a good idea as well. Backlinks (i.e. getting your site mentioned on different site, with a link to boot) are a great way to improve your site’s reputation. The problem is, they can be very easy to get, which makes it easy to go overboard. You must refrain from this indulgence. SEO algorithms are hard to fool and you will waste a lot of energy and time taking the shotgun approach. Your best bet is to focus on quality over quantity. Start by taking a look at the rating and quality of the site that you want your link to be on. Getting mentioned on one blockbuster site (gets a lot of traffic and has a high rating) will do a lot more good than getting linked to dozens of low performing sites. 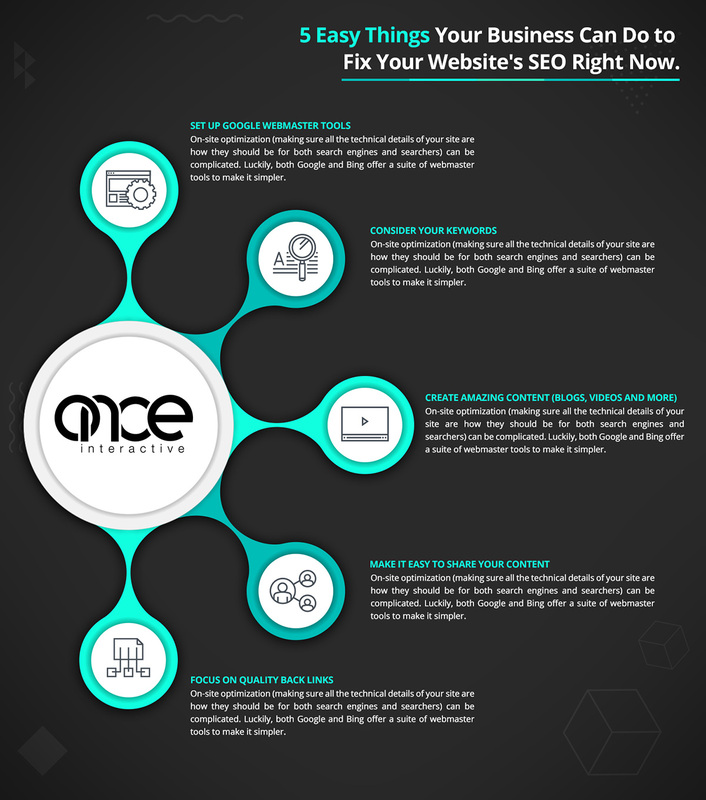 Taking advantage of SEO doesn’t have to be a hassle – not if you take heed of the above tips. Don’t be afraid to test what they can do for your business. Good luck!